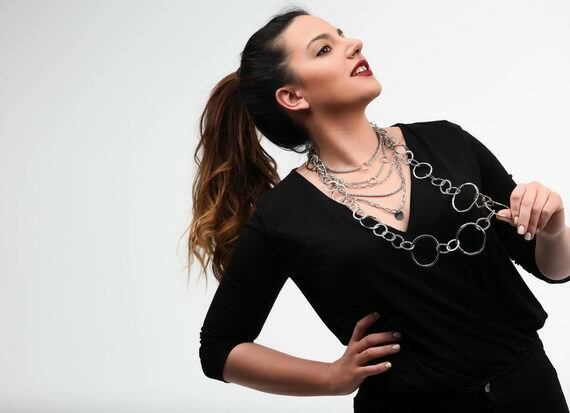 A collection of handmade, fashion jewels with semi-precious stones for every hour of the day.Costume jewels that can make you stylish, modern and in fashion. 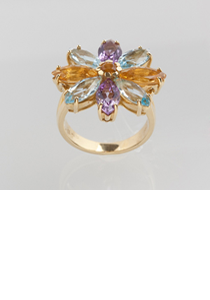 Jewels made from gold with precious and semi-precious stones. 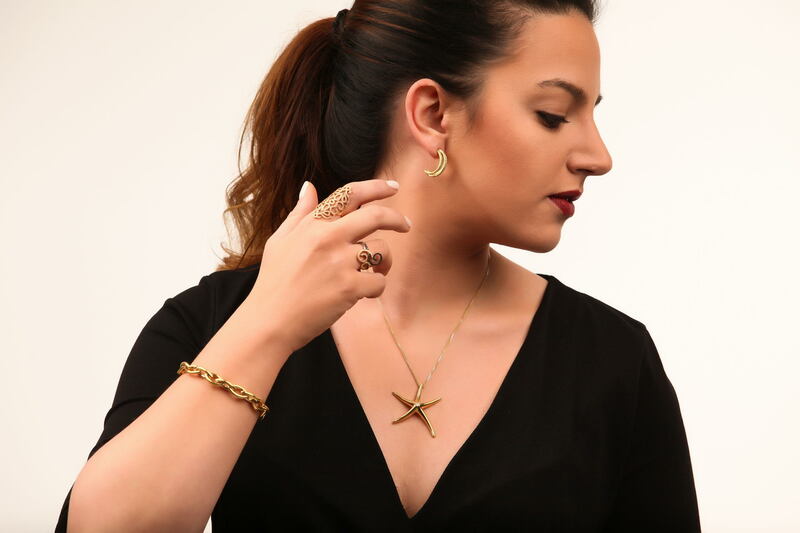 Handmade, unique designs that are made to impress you. 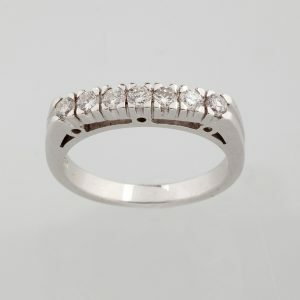 Diamonds chosen carefully to shine in whitegold settings. Rubies and sapphires ready to charm you.  We accept payment by VISA/Mastercard as well as PayPal. 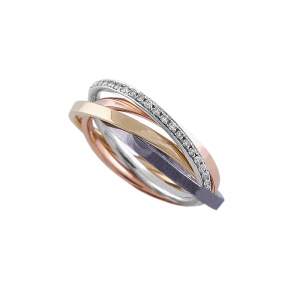 Ring which consists of 3 bands of gold, white gold and rose gold 18 karats and another one of diamonds 0.33ct. 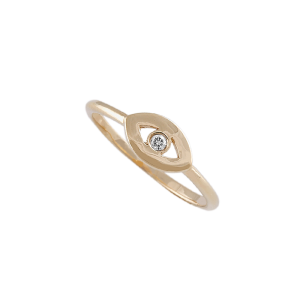 Ring in evil eye design from gold 18 karat and diamond. 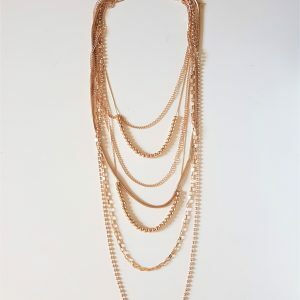 Gold plated metallic necklace with hanging shells on beaded chains. 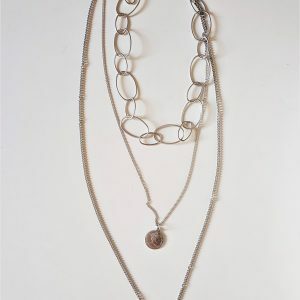 Triple metallic necklace with chains. One with big loops and two finer. There is also a coin pendant. 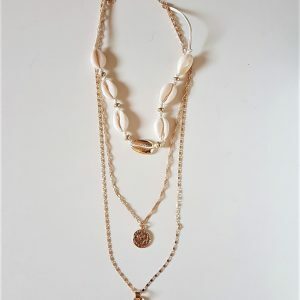 Gold plated metallic necklace with one row of shells, one chain with a coin pendant and one chain with a metallic shell. 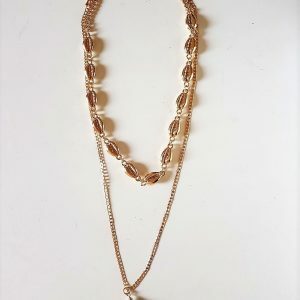 Very modern gold plated necklace with a row of metallic shells and a chain with a hanging shell. 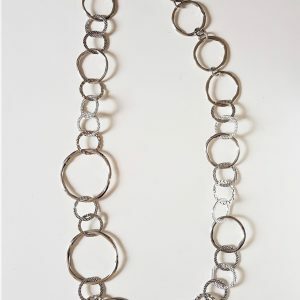 Long metallic chain at 80cm with different design of rings. 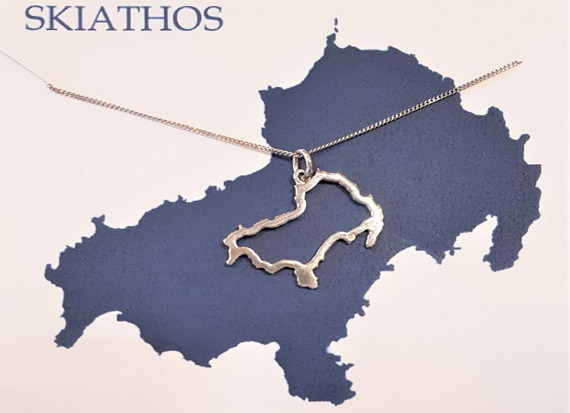 Since 1980 Papapanagiotaki’s jewelry shop, located at the old port of Skiathos island, offers unique, precious and handmade jewels in gold and silver, as well as watches. 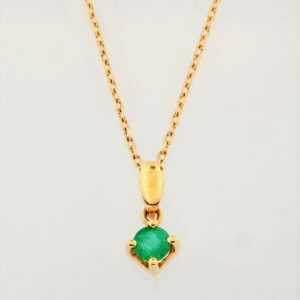 A very elegant gold pendant 18 karat with emerald. You can have it with a 14 karat gold chain. 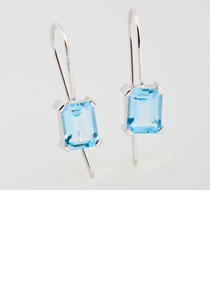 You can also make a set with the earrings SKG00208. Gold and white gold cross 18 karat with 1 diamond, brilliant cut, 0,08 carat. 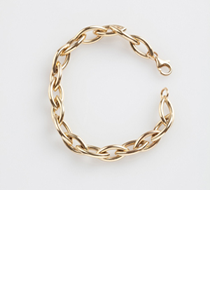 It is combined with a 14 karat gold chain. 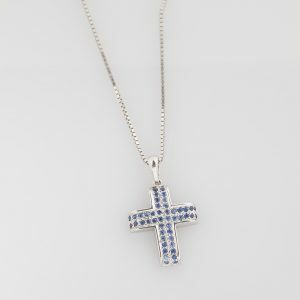 White gold cross 18 karat, with 48 sapphires 0,62 carat. 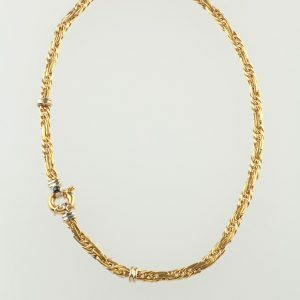 It is combined with a 14 karat white gold chain. 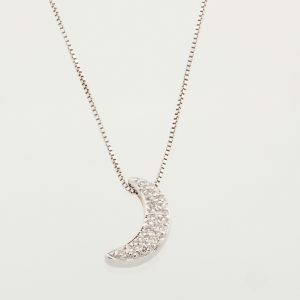 A very elegant white gold half moon pendant 18 karat with diamonds, brilliant cut. 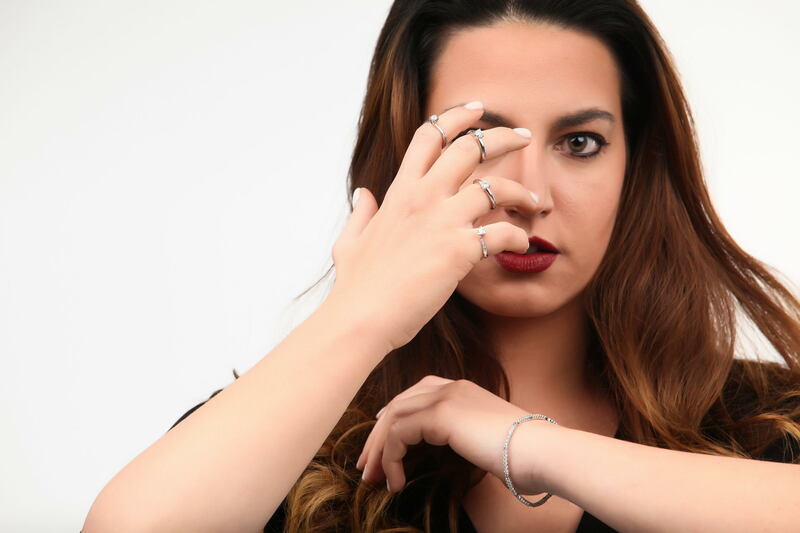 It can be combined with a thin 14 karat white gold chain. 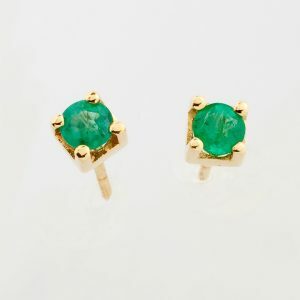 Very elegant gold earrings 18 karat with emerald. 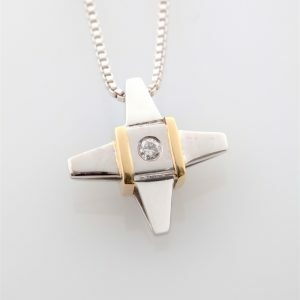 You can also make a set with the pendant MEG00369. 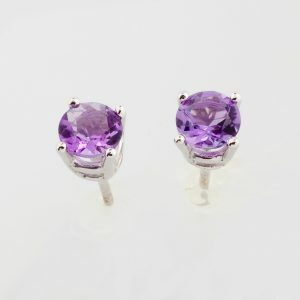 Very elegant white gold earrings 18 karat with amethyst. 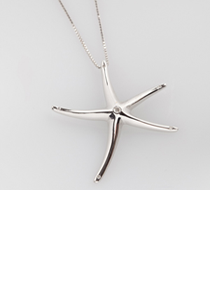 You can also make a set with the pendant MEG00069. 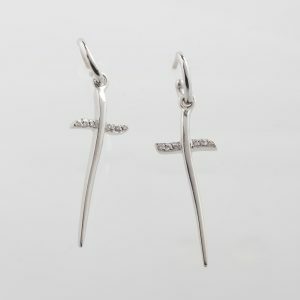 Very modern 18 karat white gold earrings in cross shape with 12 diamonds brilliant cut 0,12 ct.
A very fashionable 18 karat gold chain necklace with a sapphire on the clasp. 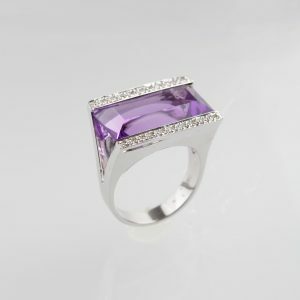 A beautiful 18 karat white gold ring with 1 amethyst and 20 diamonds 0,17 carat, brilliant cut. 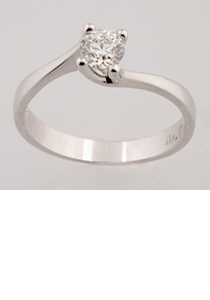 A beautiful 18 karat white gold ring with 7 diamonds 0,46 carat, brilliant cut. 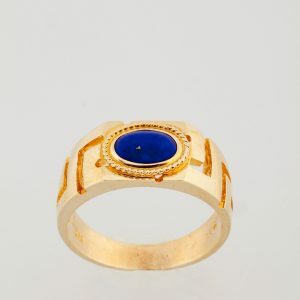 A beautiful 14 karat gold ring with the greek design and a lapis lazuli. 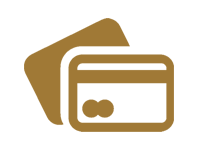 Sign up for our newsletter for discounts and special deals!